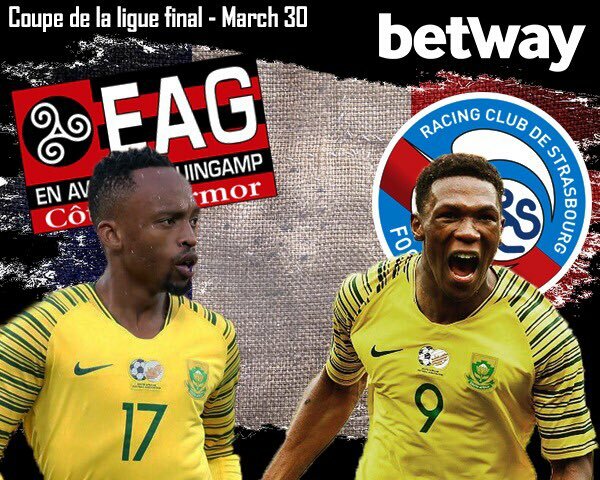 It’s not often you see two South Africans going head-to-head in a big European cup final, but that’s exactly what’s happening in France this weekend, and thanks to Betway I’m going to be there to see it! It’s Lebo v Lebo. Mothiba v Phiri. Strasbourg v Guingamp. Both players have been named in the matchday squads for the clash in Lille at Stade Pierre-Mauroy – Mothiba’s old stomping ground – and now it’s up to their coaches to decide whether they’re handed a starting berth or not. The smart money right now would be on Strasbourg (2.29) due to the fact that they’re far higher up in the Ligue 1 table and on paper are the stronger side going into this game. 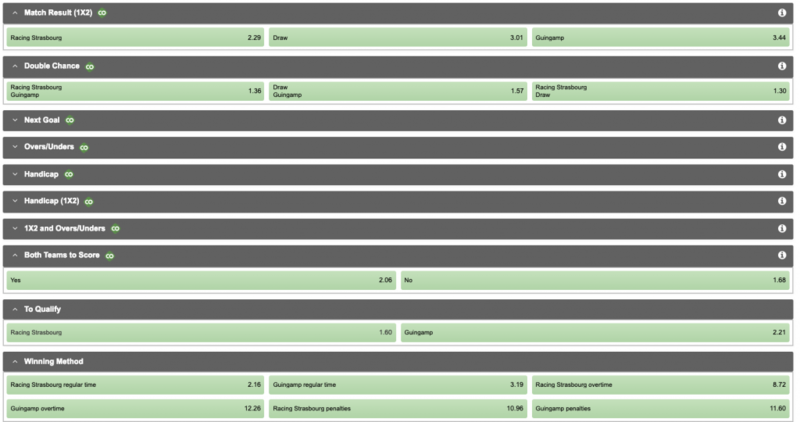 However, Guingamp have knocked out Nice, Monaco and the mighty PSG to get this far and have odds of 3.44. All of Strasbourg’s four games so far in the Coupe de la Ligue have seen over 1.5 goals (1.47 for this one), while Guingamp have a knack for the penalties having won three of their four games in this tournament via a penalty shootout… The one they didn’t win on pens, they scored from the spot twice against PSG to knock them out. That being said, with odds of 11.6 for Guingamp to win via a penalty shootout, it might be worth a little punt on that very specific outcome. Phiri’s side love a penalty, and have defended incredibly admirably with the Bafana Bafana international playing a pivotal role. You could even just put money on there being a shootout at all – that’s at 5.19. Mothiba effectively scored the goals that took his side into the final of the competition as they knocked out Bordeaux, and he’s 3.27 as an anytime goalscorer on Saturday night (Phiri is 12.13) and a 6.92 to be the last scorer of the evening. Strasbourg have scored an conceded in 75% of their Coupe de la Ligue games and Guingamp have done the same in 50% of theirs, so the 2.06 odds on both teams to score could be tempting as part of a nice accumulator, and if you fancy a BTTS and the correct winner then you could be in the money! 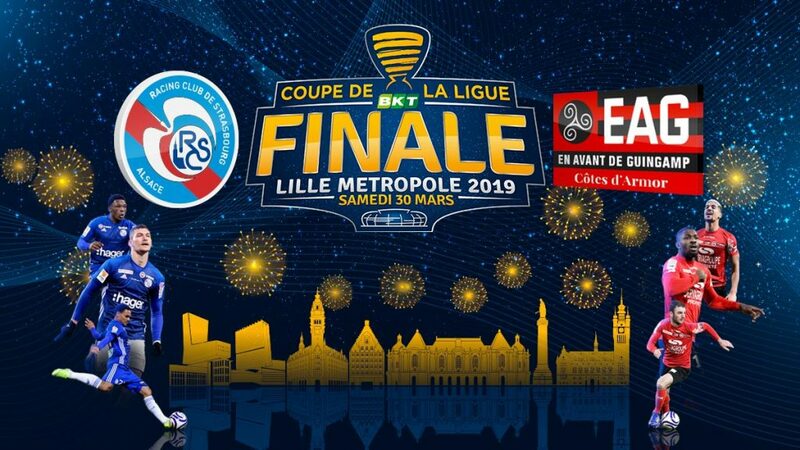 We’ve seen Kamohelo Mokotjo take on Thulani Serero in a Dutch final and Darren Keet’s KV Kortrijk face Ayanda Patosi’s Lokeren in a Belgian cup final, but I’m not sure we’ve had two proudly South African stars go into battle in a game of this magnitude in France. What sort of bet are you thinking for this game? Either way a South African WILL lift the Coupe de la Ligue trophy, and that’s something to really shout about. Head over to betway.co.za to join in (18+). Don’t forget to follow Betway and me on social media over the next few days as we bring you the Coupe de la Ligue final and Bongani Zungu’s return to action for Amiens live from France!